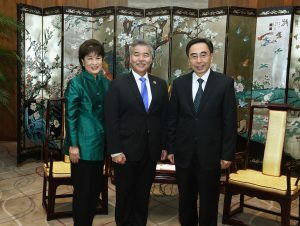 Hawai‘i’s pivotal role in the Pacific was the focus of a business and diplomatic mission to Japan and China last month by Gov. Ige and First Lady Dawn Amano-Ige. The trip celebrated a 30-year sister state relationship with Okinawa and Guangdong Province and included a delegation from the Department of Business and Economic Development and Tourism. It sought to expand trade and tourism opportunities, renewable energy partnerships, and international student exchange. The trip focused on ways the sister-states could collaborate on a wide range of mutual interests. The governor wants to increase visitors and business travelers coming to the islands from southern China through direct flights and a targeted marketing campaign. “Hawai‘i currently attracts about 1.5 million visitors from Japan yearly but only about 160,000 from China,” Gov. Ige noted. He also visited Okinawa Electric Power Company and J-Power to discuss collaboration in the future on renewable energy initiatives. As for student exchanges, both Gov. 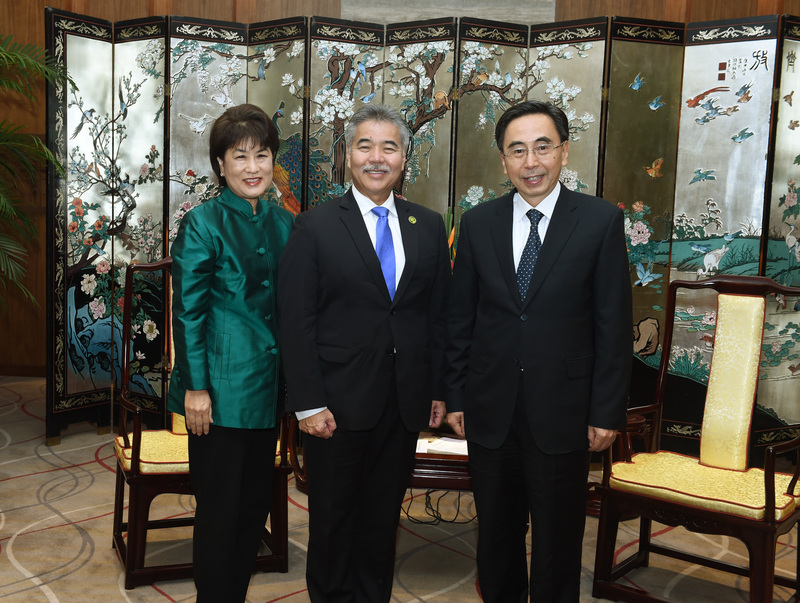 Ige and the First Lady said these not only foster global understanding but also have a positive economic impact by bringing new dollars to the state. Read more of our November newsletter here.